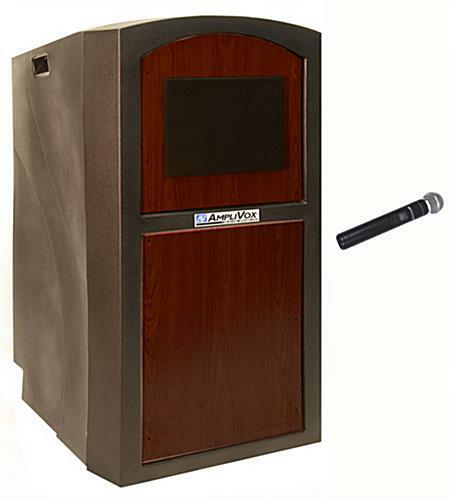 Say good-bye to your wired mic and hello to this podium with wireless microphone. 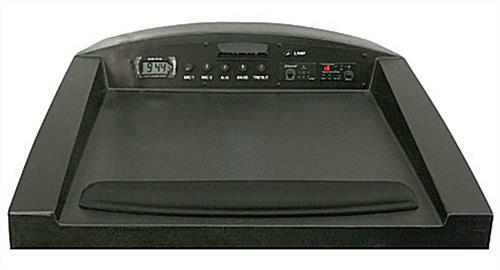 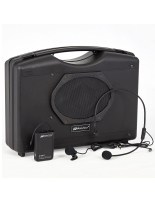 At conferences or during presentations take the engagement to the next level with this package including a built-in receiver with volume, auxiliary bass and treble controls all featured on the lectern’s control panel. 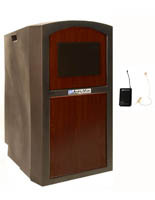 The handheld mic on this podium with sound system lets you navigate through the crowd while your voice is pumped through the two oval speakers operating at a 150 watt rate. 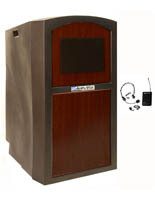 The output of these speakers are recommended for a room of up to 19,450 square feet whether it be a conference room, banquet hall, or large class room. 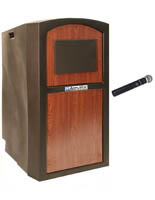 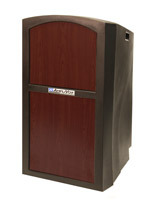 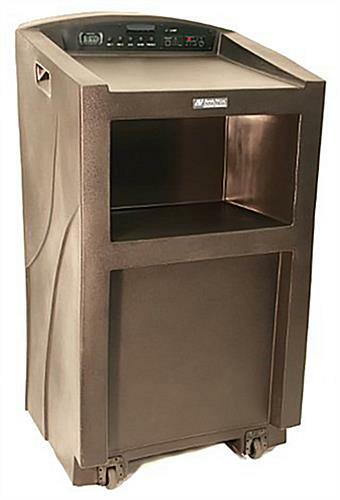 But if your function is during those beautiful summers, don’t worry because the podium was made to withstand any climate with its durable weather and waterproof plastic shell. 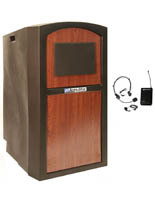 The days of the wired mics are over and an all-in-one sound system featuring state of the art technology is a necessity. 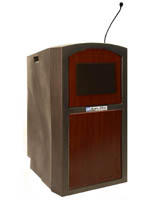 This package includes a handheld transmitter that will help to keep your presentations appealing, entertaining, and as impressive as the material being delivered.